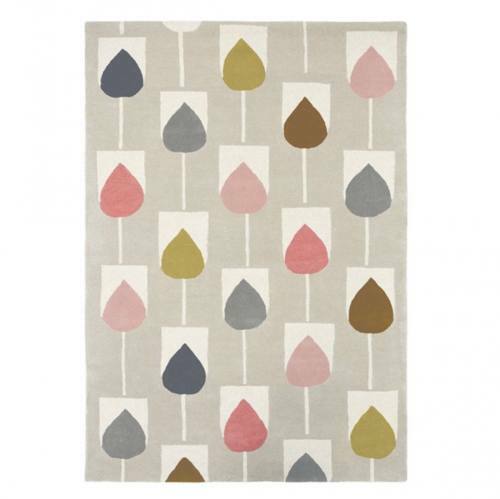 The Sula Rug in blush colourway features an abstract pattern of tear drop shaped tulips sitting within cream petals and stems upon a warm taupe grey background. The tulips, in tones of blush pink, mustard yellow, golden brown and greys form a delightful, contemporary pattern. Hand tufted by artisans using the finest pure wool yarns, this rug is lovely and thick and designed to offer high levels of luxury and comfort under foot.